Aloo Paratha is the popular Indian flatbread prepared with whole wheat dough and potato stuffing. It is easy and delicious flatbread always served with yogurt or butter. Combine whole wheat flour, carom seeds, salt and oil. Mix everything well. Prepare the soft dough by adding required amount of water. Cover the dough using plastic sheet and let the dough rest for 15 minutes. Boil the potato and mashed it using masher. When oil heats up, add cumin seeds and asafoetida. Then add curry leaves, green chilly and ginger garlic paste. Saute till raw smell goes off from the paste. Add chopped onion and fry till onion are light brown in colour. Add mashed potato and all dry masala powder.Mix everything well. Add salt. Mix the mixture again. Sprinkle few drops of water to the mixture.Cover and cook for 5 minutes. Then mix in crushed kasoori methi. cook for 2 minutes. Spread the stuffing mixture into one plate and allow the mixture to cool down. Then divide the stuffing mixture into 5 portion. Roll out the dough into small circle. Place the stuffing at the centre of the rolled dough and seal the dough into all the sides. Flatten the sealed dough in between your palms and dust into dry dough. Now gently roll the parathas . Fry the paratha on both the sides. you can use oil or ghee while frying the pararthas. 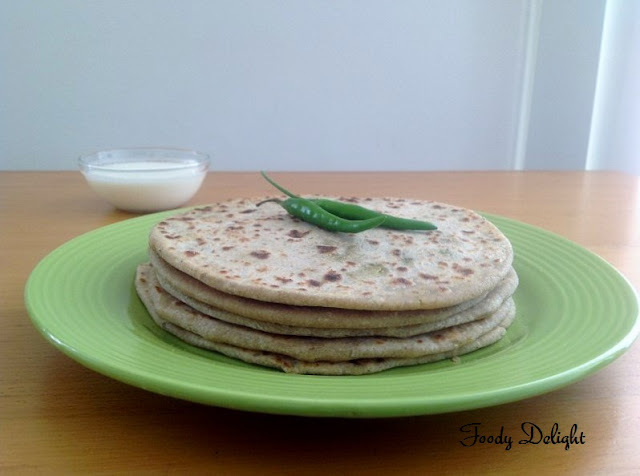 Aloo Paratha is ready to serve with yogurt or pickles. Looks good! 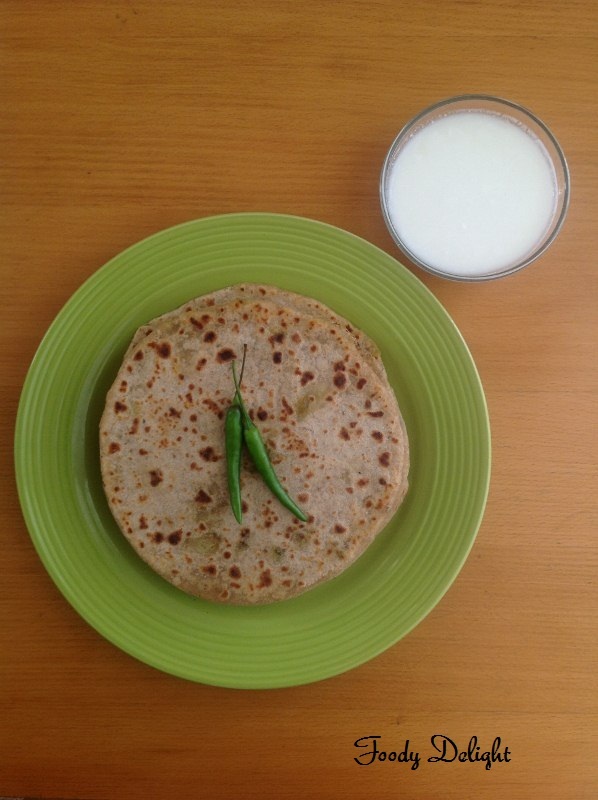 My mother like to have paratha for breakfast. Maybe I should give this a try. Thanks for sharing! 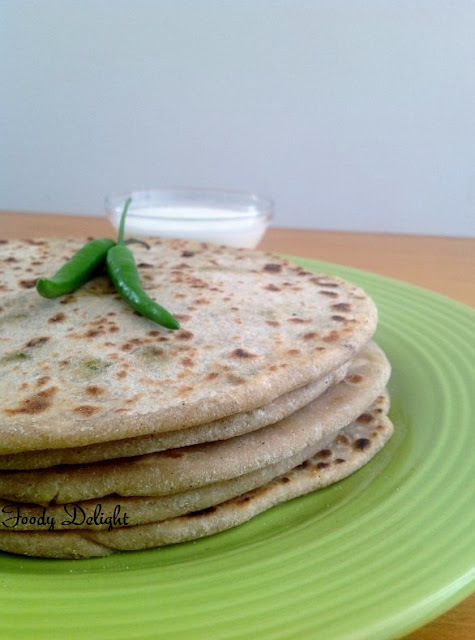 Hi 2 u... after my long break..
My favourite aloo parathas.. yummy yummy..
My all time fav paratha,inviting. wow..same pinch,I too had posted these the same day!